How to Apply : Interested candidates may appear for walk in at the address mentioned in the official notification on the time and date mention below. Venue: hamber of Addi. 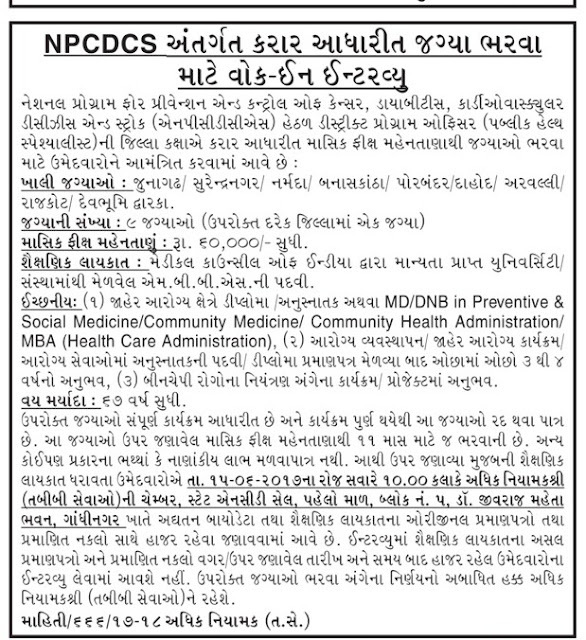 Director (Medical Services), State NCD Cell, First Floor, Block No. 05, Jivraj Mehta Bhavan, Gandhinagar.